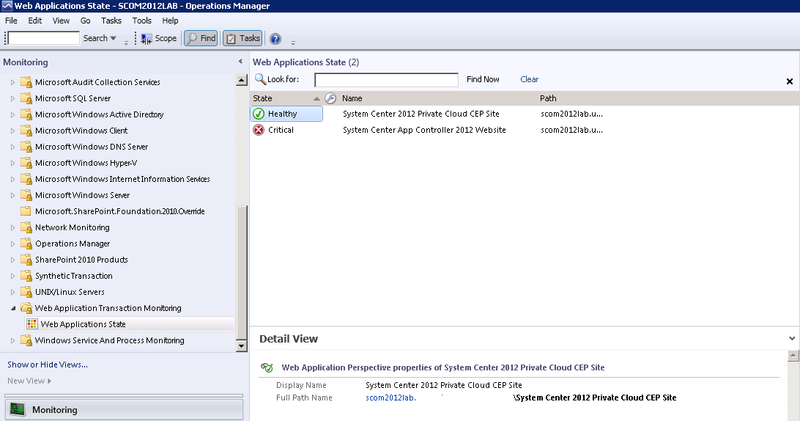 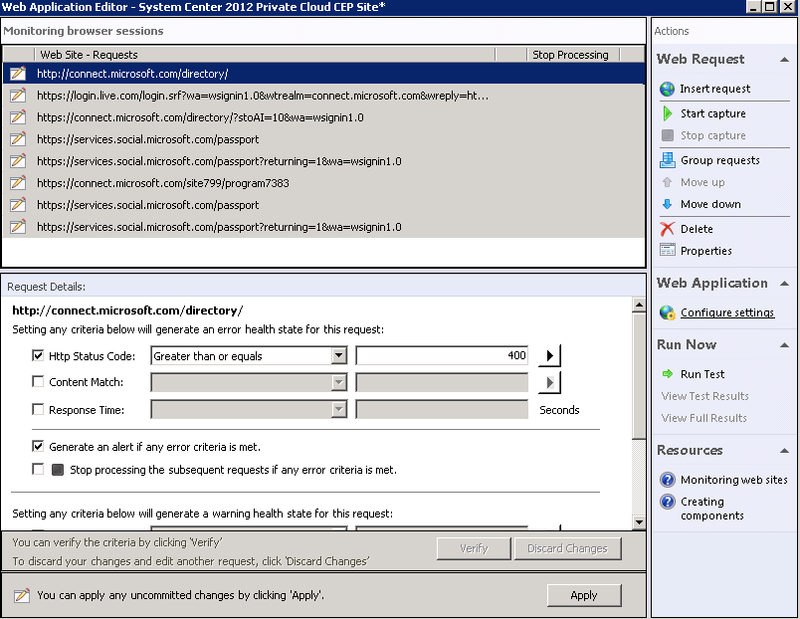 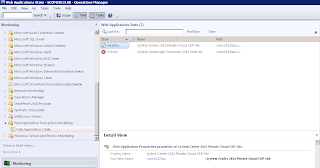 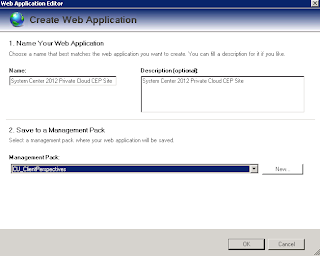 System Center 2012 Private Cloud CEP MMS 2012 Ticket Winner!! 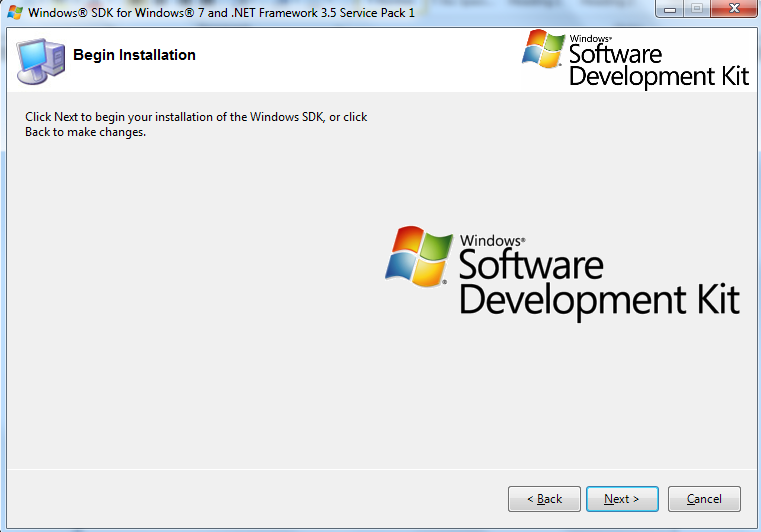 "Congratulations! 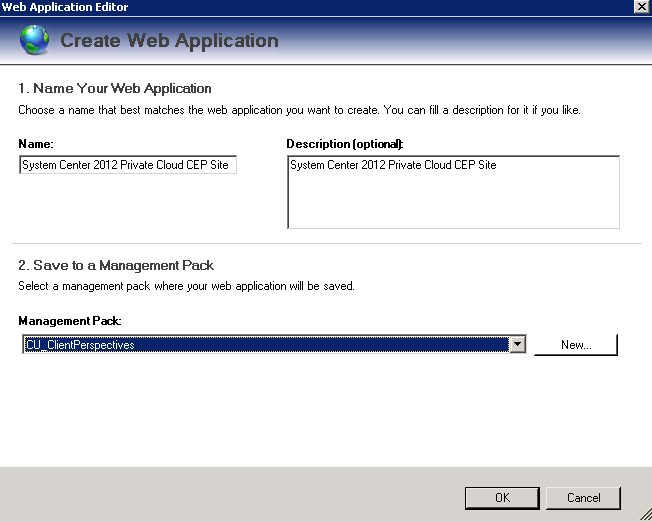 You have won a ticket to MMS 2012 (http://www.mms-2012.com/) through the Private Cloud Community Evaluation Program Community Contest!" 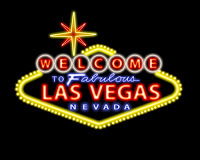 It was so nice to wake up this morning to the sight of the above email in my inbox telling me I've won a free ticket to the Microsoft Management Summit 2012 In Las Vegas as part of my participation and efforts contributing to the Microsoft System Center 2012 Private Cloud Community Evaluation Program (CEP). 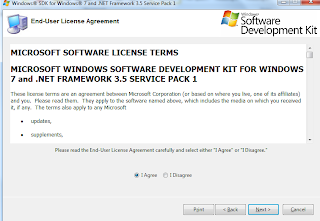 This email follows hot on the heels of delivery of my Microsoft Touch Mouse that I also won from the CEP as the November winner of the contest. I can't think of a better technical program that I've been involved in that has such expert speakers with deep levels of technical content sessions and one that rewards participants in this way with prizes of such great nominal and educational value. 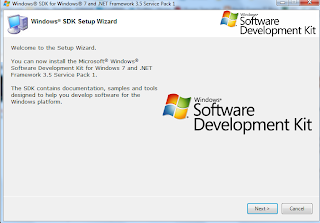 This post will cover the final steps in the process such as editing the unsealed XML file, sealing the unsealed template and then importing it back into SCOM and testing that it works. 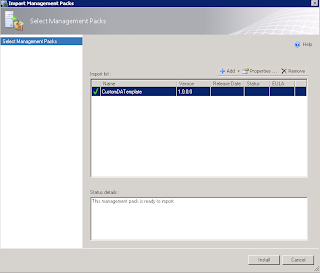 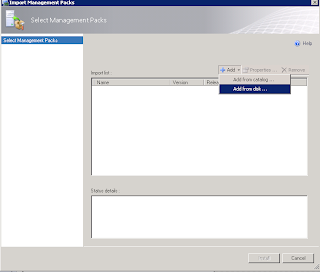 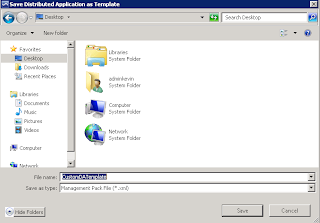 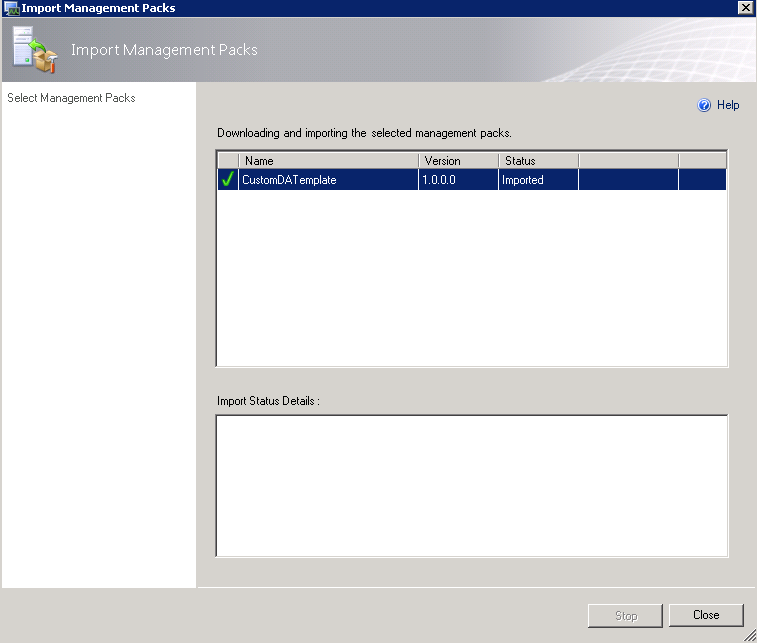 Note: The location of the system sealed management packs is important because we will need to specify this location when running the MPSeal utility against the unsealed template. 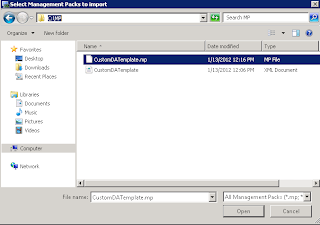 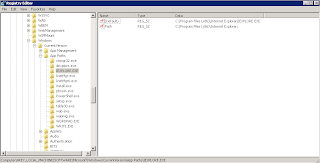 mpseal customdatemplate.xml /i c:\scom2012rc\managementopacks /Keyfile scomkey.snk /Company "Ergo"
Browse back to the C:\MP directory and you will see two new files there now, one of which is your new sealed management pack - at last!! 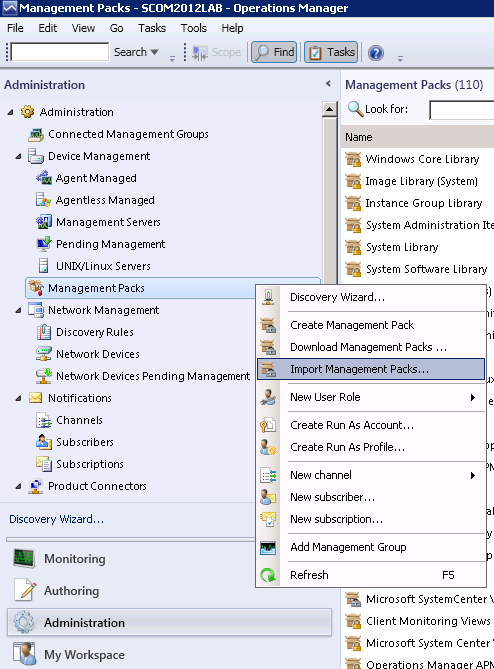 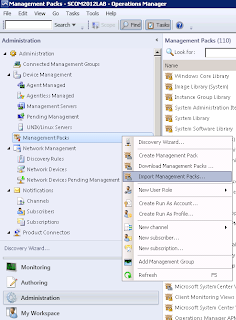 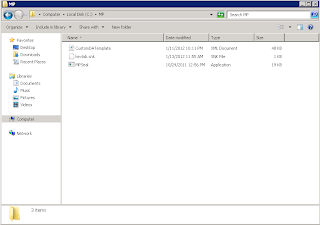 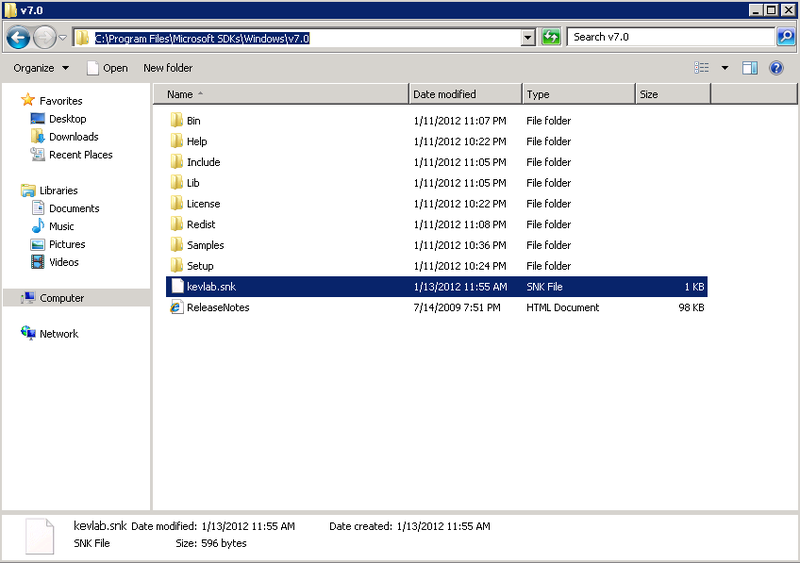 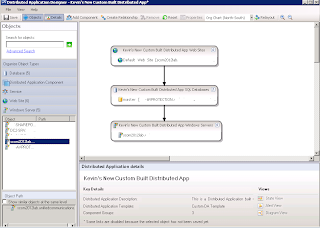 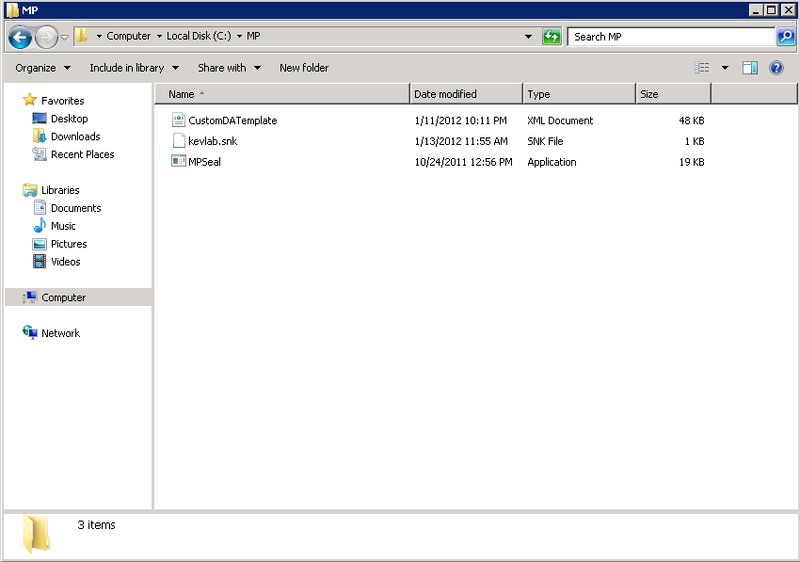 Now all that's left to do is to import this into SCOM 2012 and test it! 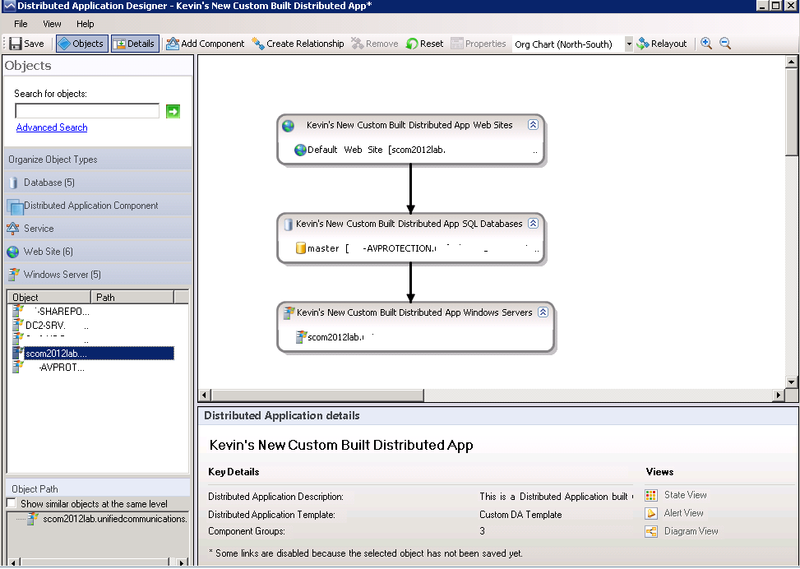 Now you should see the Diagram View of your newly created Distributed Application Service using your very own custom sealed Distributed Application Template! 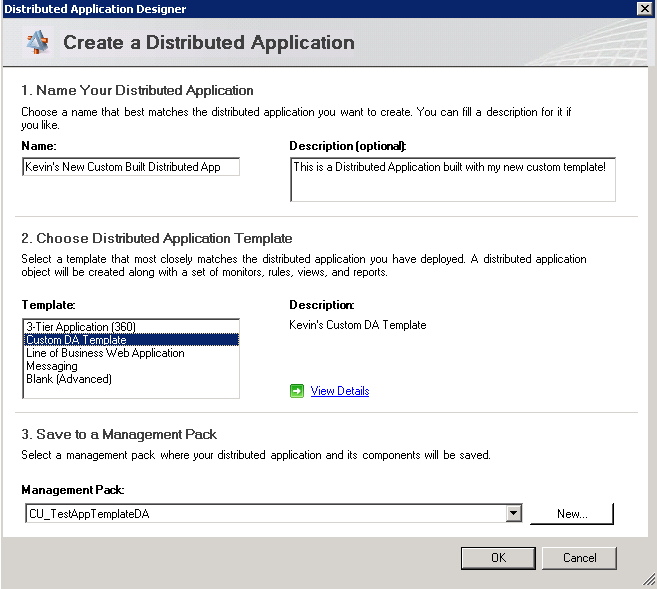 In Part 1 of this short series, I explained my reasons for wanting to create my own custom Distributed Application Template and also kicked off the download and installation of the Windows SDK software that will be needed later on. In this post, we will build the custom distributed application the way we want it and then export it out of SCOM as an unsealed .XML Management Pack. 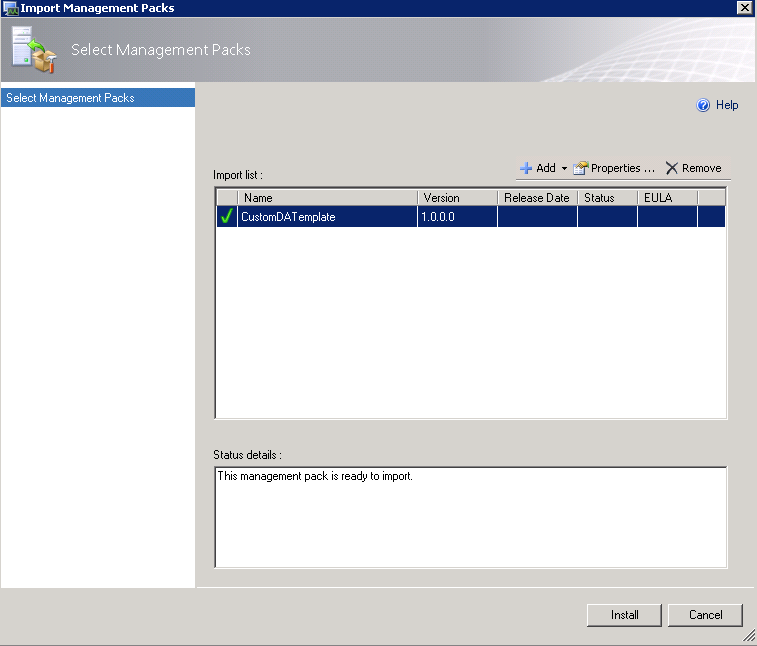 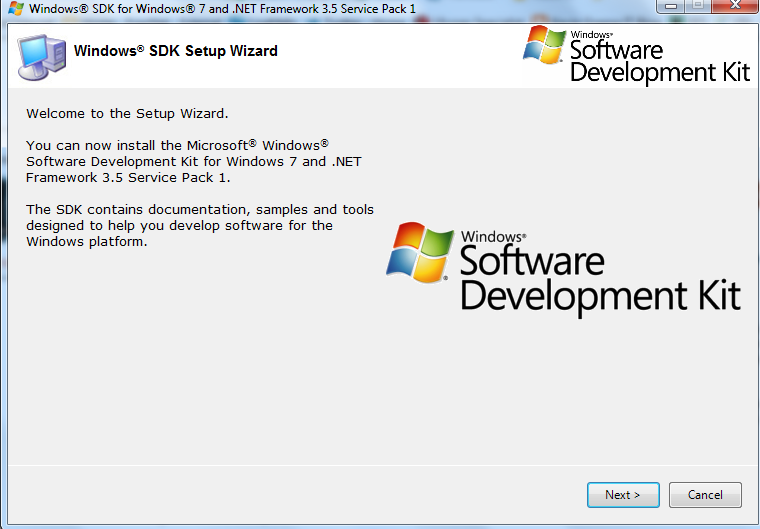 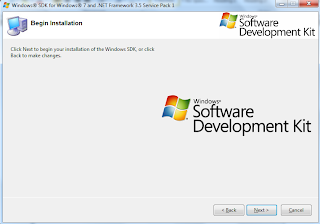 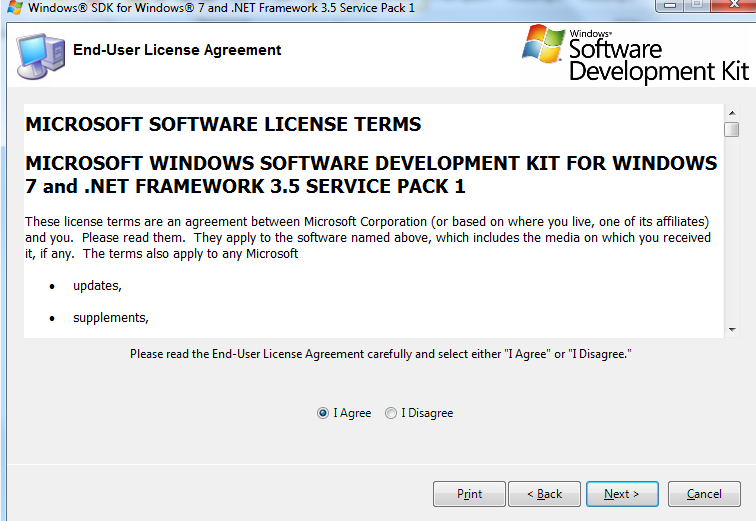 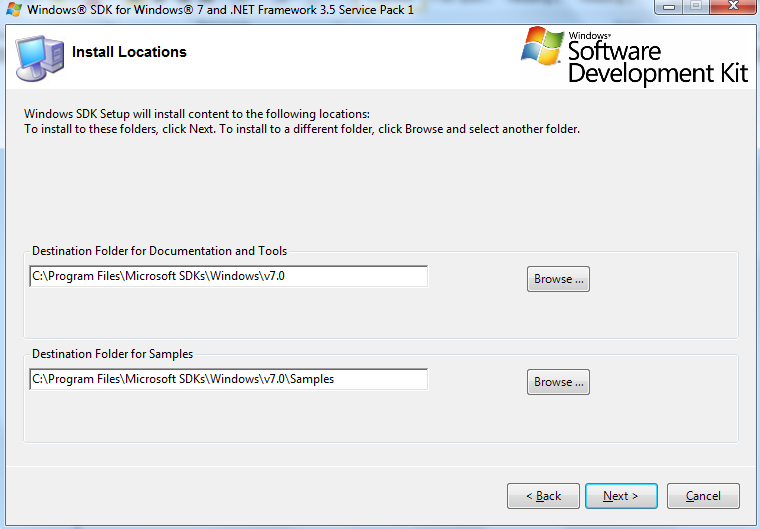 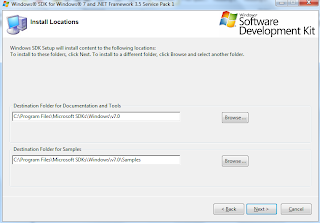 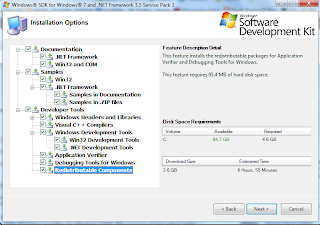 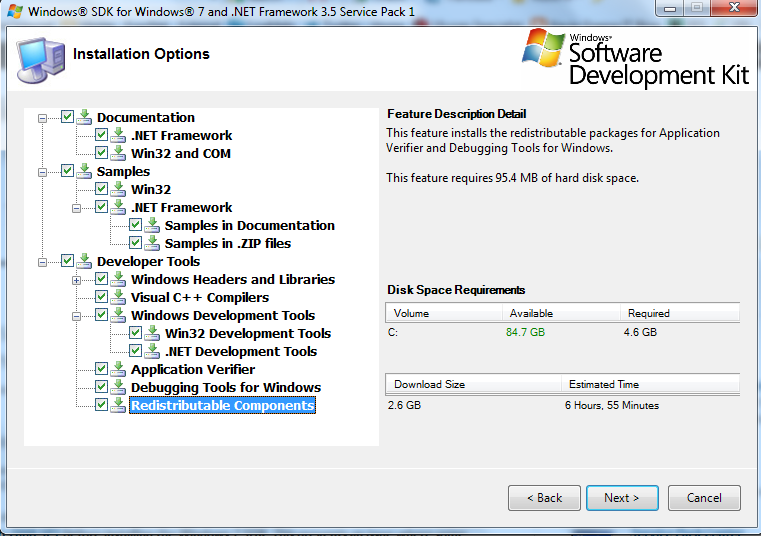 Once that's done we will start the process on sealing the management pack using the Windows SDK tools. 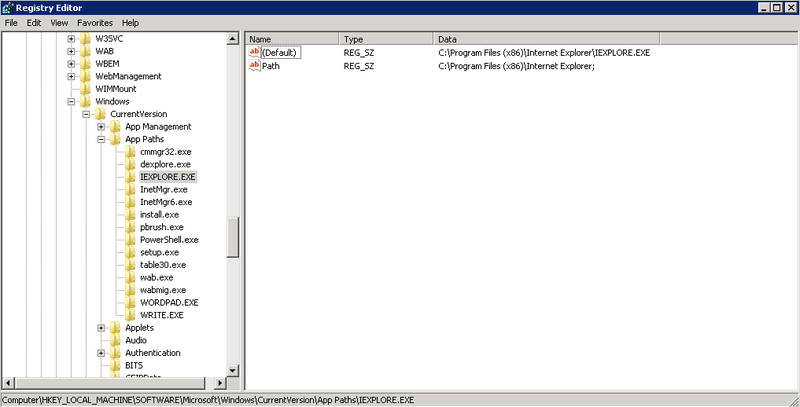 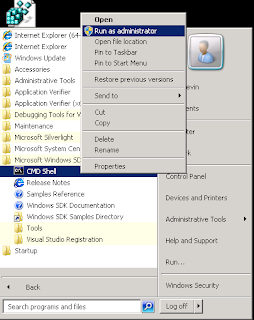 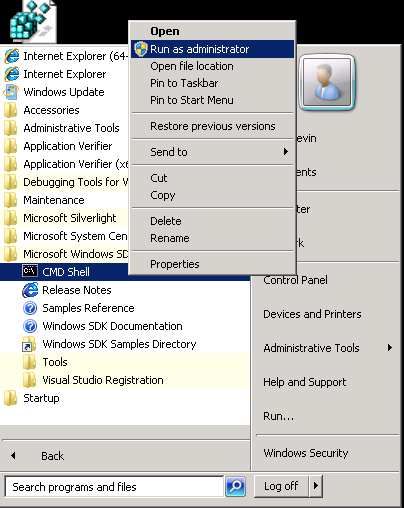 When you have the CMD Shell open, you need to use the 'Strong Name Tool' (sn.exe) utility that comes with the Windows SDK to create a key file that will be used to seal the unsealed distributed application template management pack. 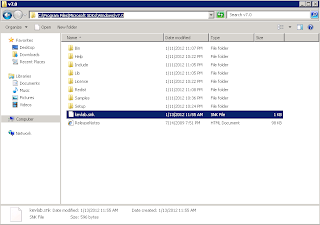 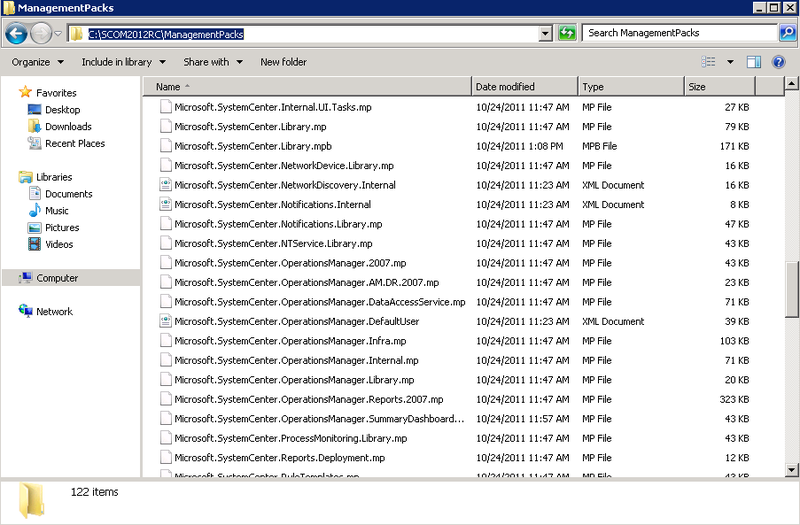 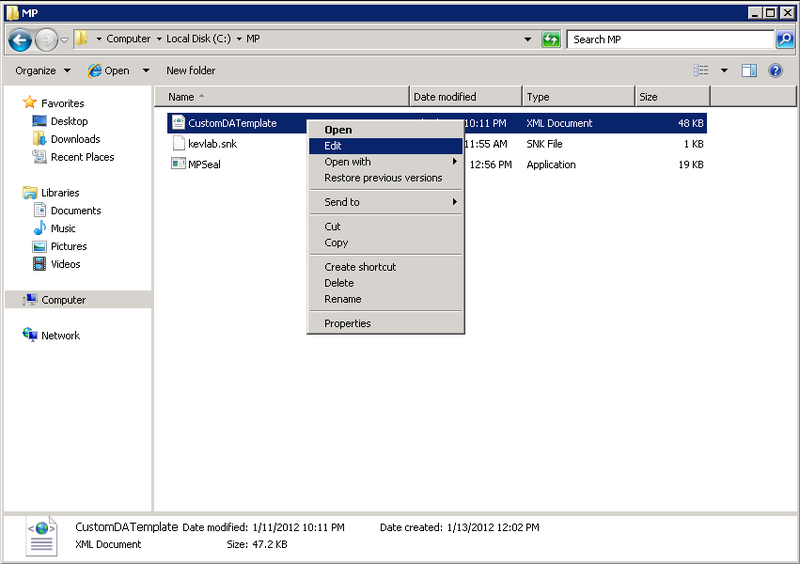 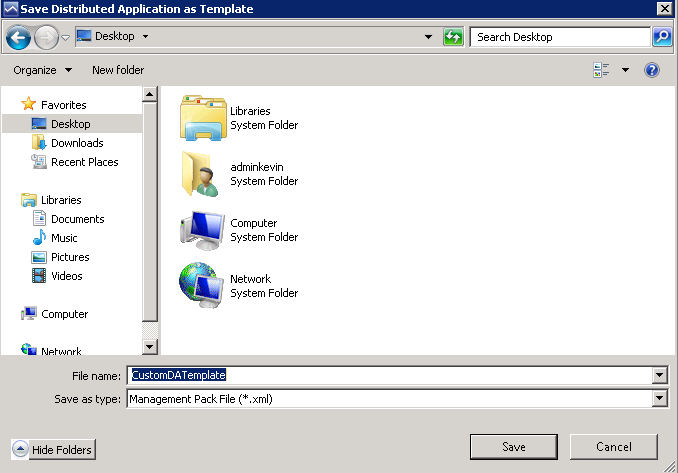 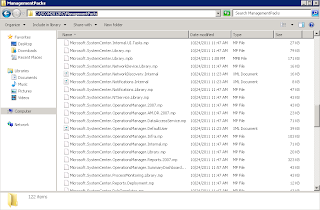 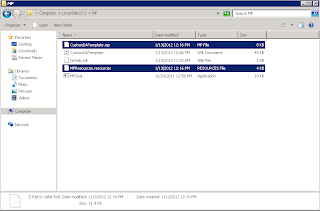 When you have located your new key file, create a new folder on the C:\ drive of your server called 'MP' and copy the new .SNK keyfile and the unsealed custom distributed application template along with the 'MPSeal' utility from the SCOM Support Tools directory all into this new folder. 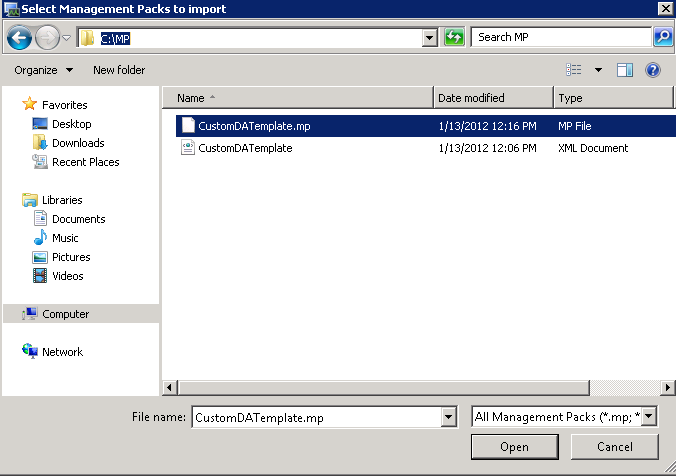 In Part 3 of this series, I will go through the process of editing the ID and Name of the custom template along with sealing it and importing it back into SCOM to complete the process. 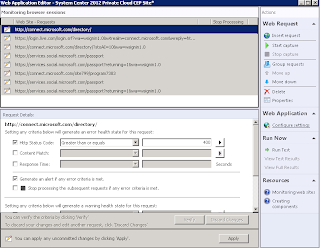 Over the last 12 months I've been working on some pretty nice System Center Operations Manager (SCOM) projects but I find that the larger the customer site / IT infrastructure, the more repetitive tasks there are to be carried out! 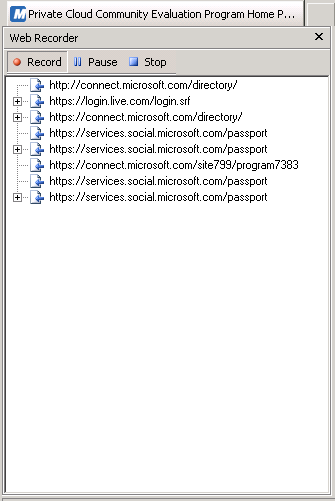 One such project I've been working on requires the creation of over 90 distributed applications that will reflect each of the remote sites around the globe that SCOM is monitoring. 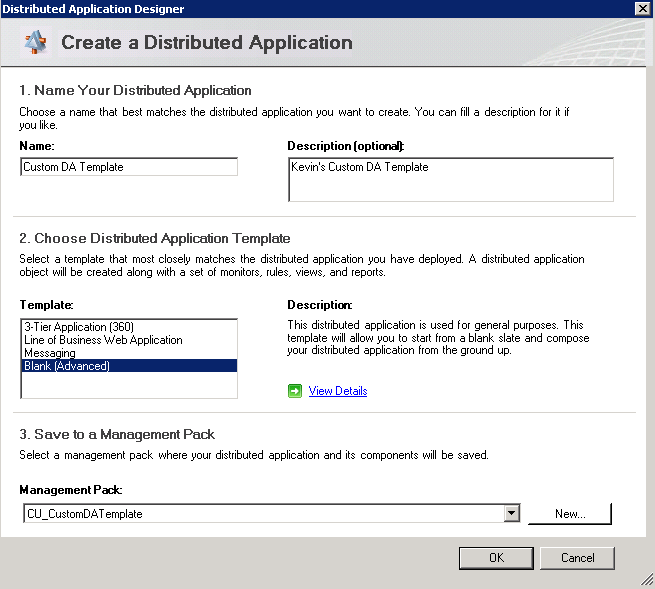 Each of these 90 distributed applications would contain the exact same component groups - for example, they'd all have a Domain Controllers group, a File Server group, an SQL group and a Web Sites group. 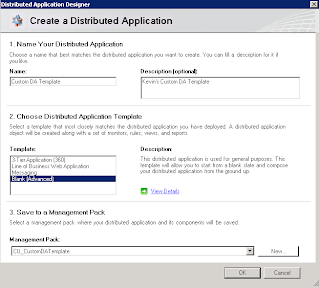 The only difference for each of the 90 distributed applications would be the actual windows servers that would be members of each of the component groups as they would be specific to each of the sites they were located in. 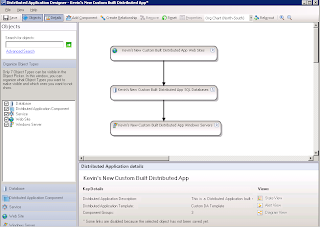 To build a distributed application with only four component groups is real easy but the problem is when you have to go and create the same distributed application 90 times - not fun!! 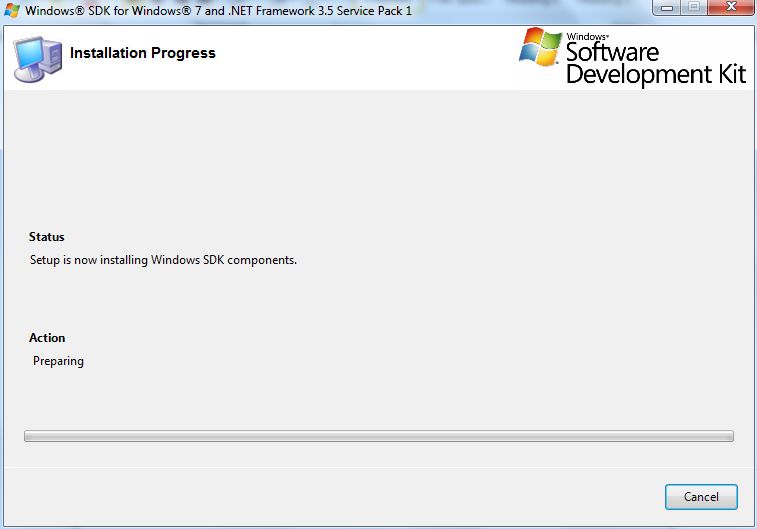 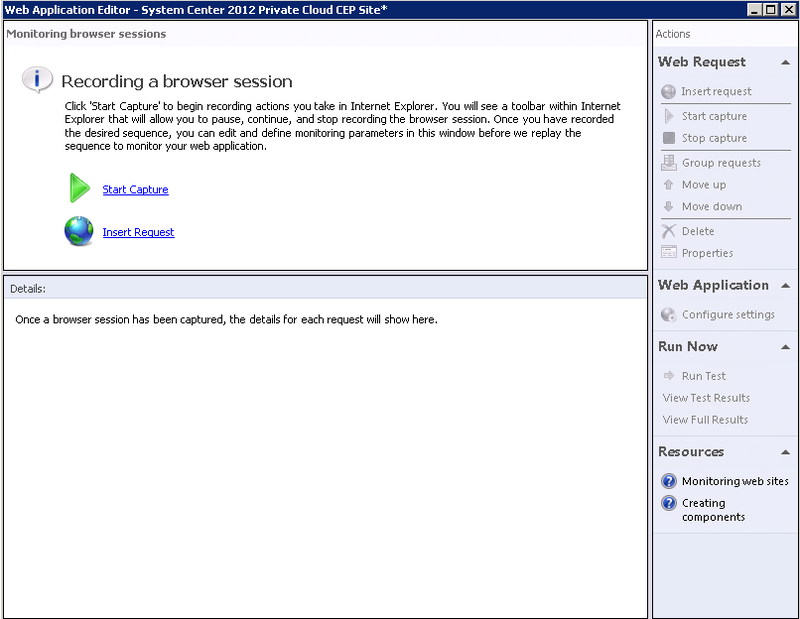 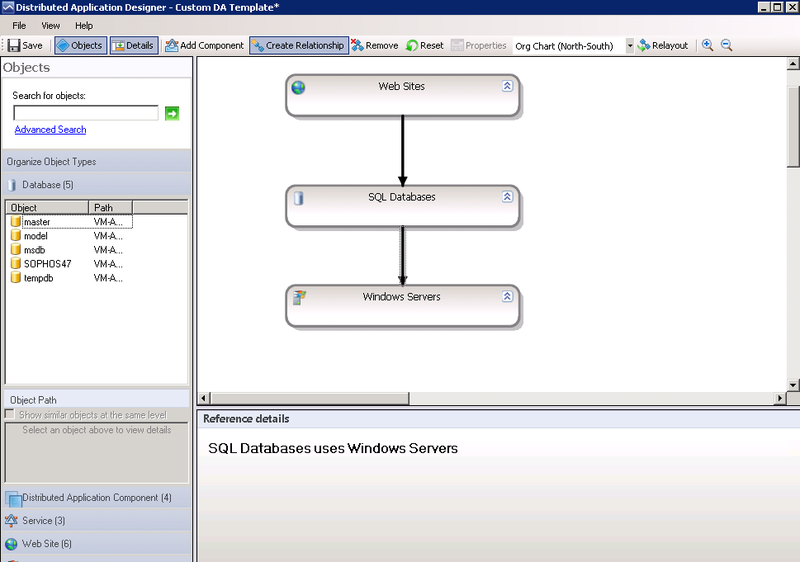 This process will work exactly the same on both SCOM 2007 R2 and SCOM 2012 and I'll be demonstrating this on SCOM 2012. 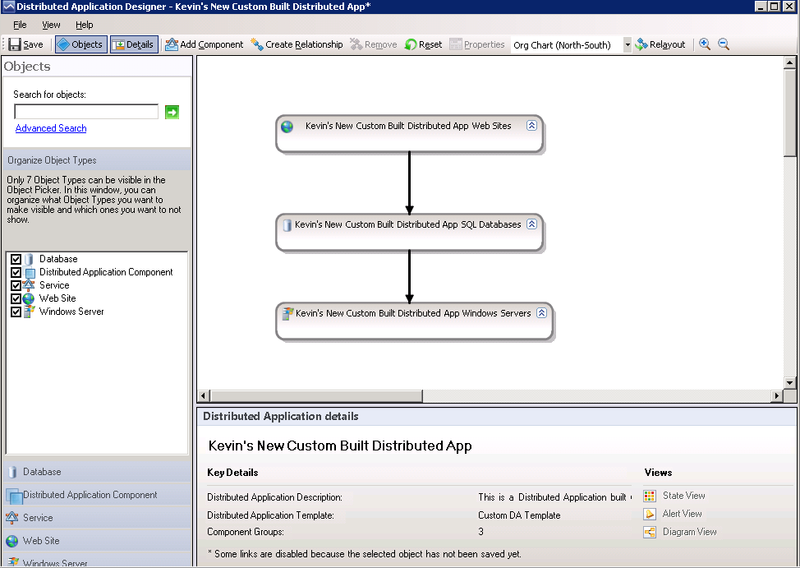 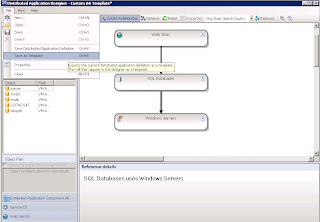 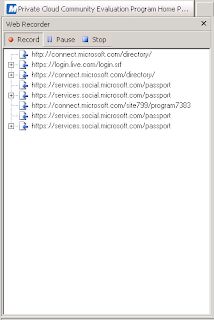 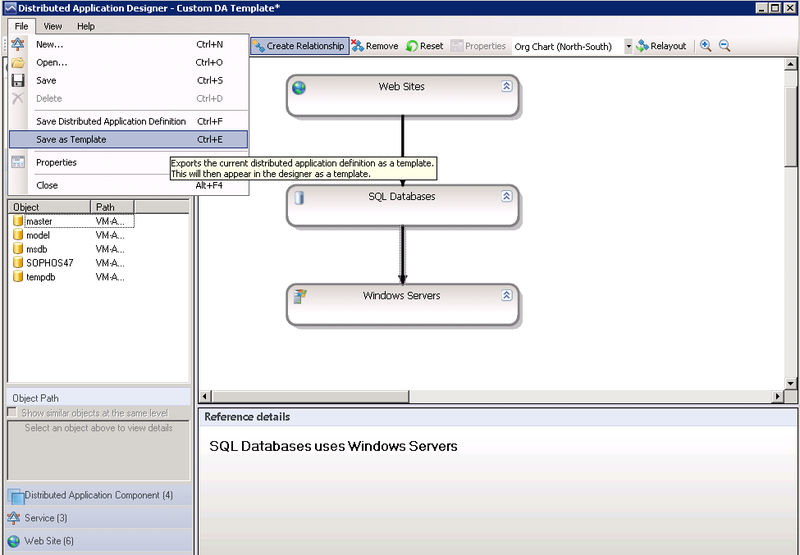 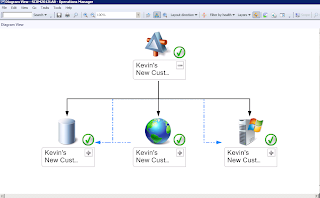 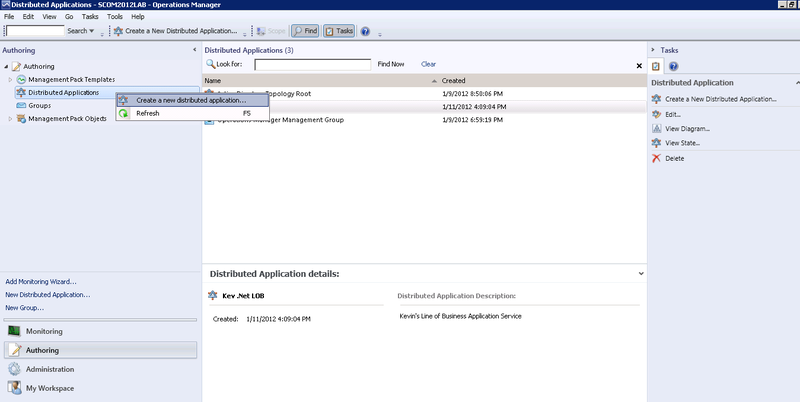 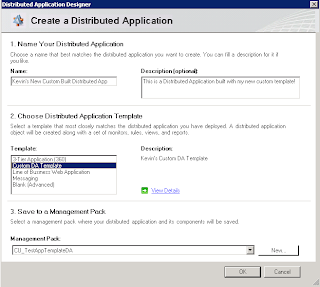 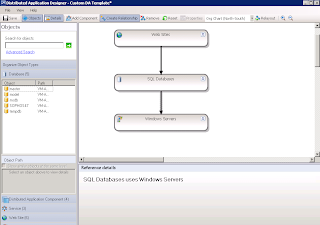 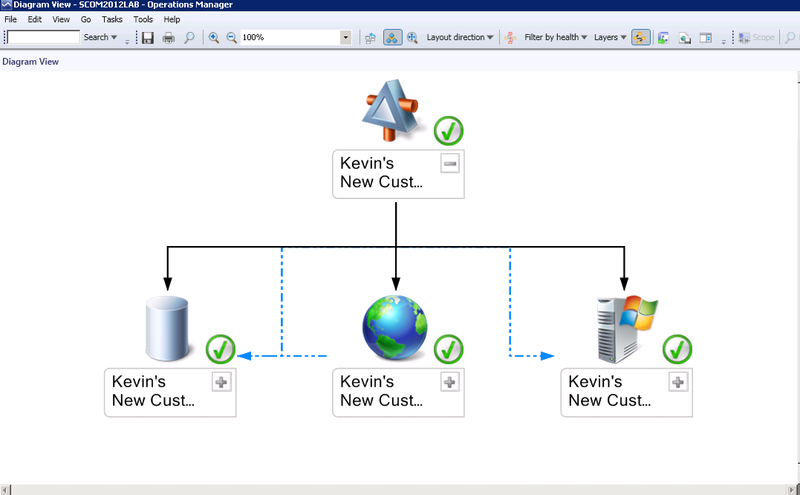 Although a new distributed application template (3-Tier Application (360) - see my previous post on this for more information) has been added to SCOM 2012, it is still limited to 3 tiers and a client perspective component group which probably won't be flexible enough to fit in with the type of distributed application you might want. 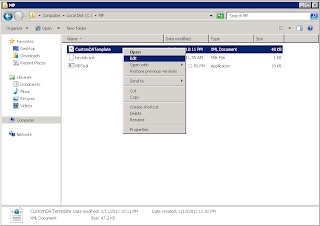 As a result of these template limitations, I set out to build my own template that incorporated all of the customer specific component groups that I wanted and one that could be easily deployed alongside the default templates that came out of the box with SCOM. 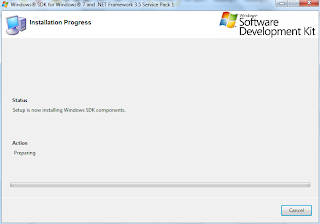 This screen can take a little while to complete but when it has all finished, you can close the SDK installer and move on to the next steps which I will cover in Part 2. 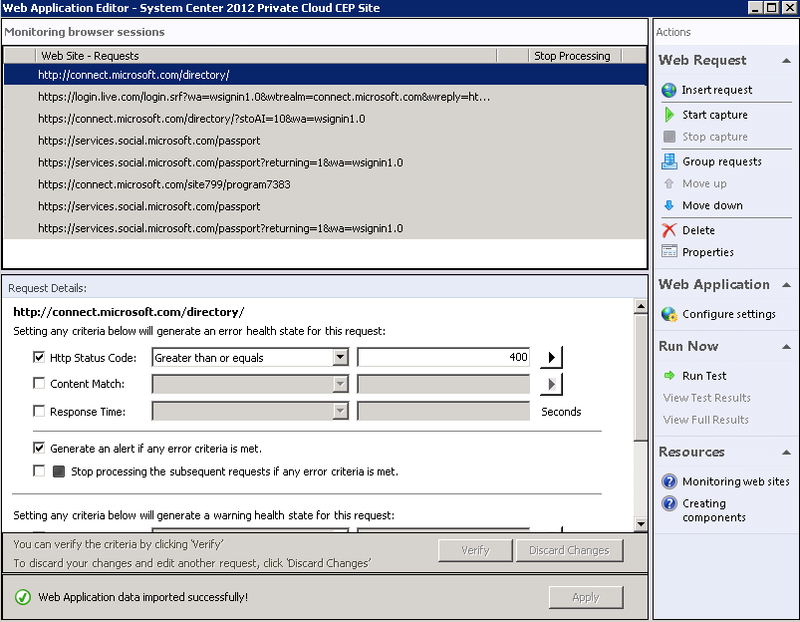 In my previous post, I outlined the steps needed to enable monitoring of a website URL with System Center 2012 Operations Manager (SCOM 2012) and how to configure it to report back on specific http error codes and latency thresholds. 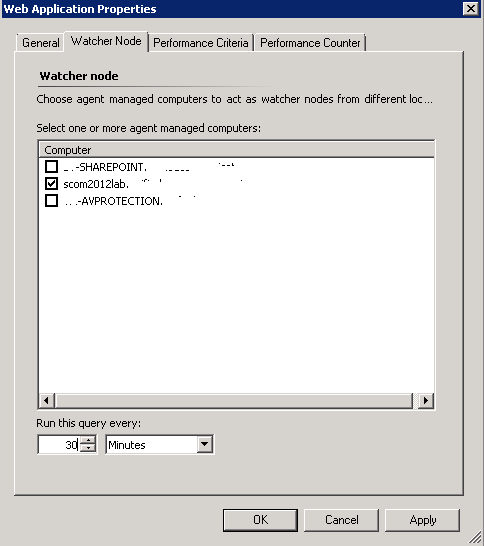 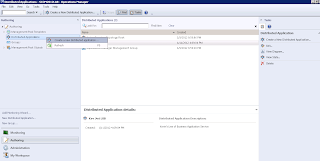 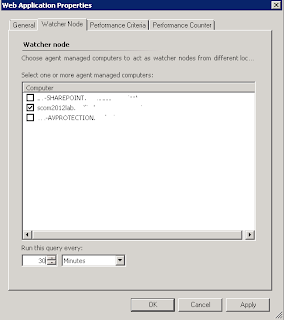 This post builds on the 'Web Application Transaction Monitoring' model in SCOM 2012 and demonstrates how to record a web browser session for times when you need to monitor web logins and user experience. 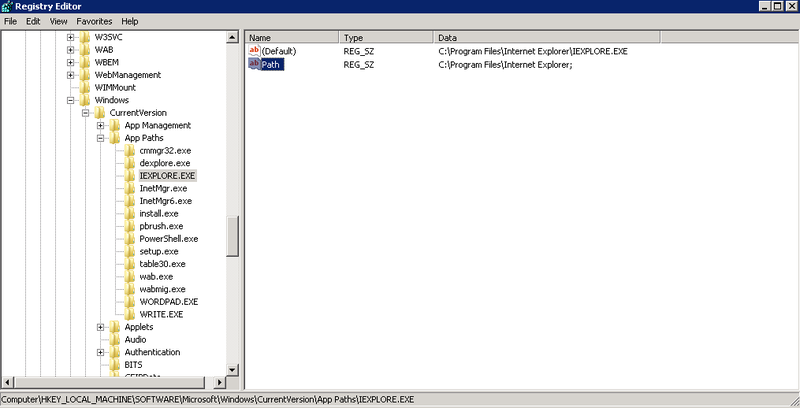 Update Oct 2016: If you've landed on this post and want to know how to get this feature working with later versions of Internet Explorer, then check out this post from Marnix Wolf to get you sorted. 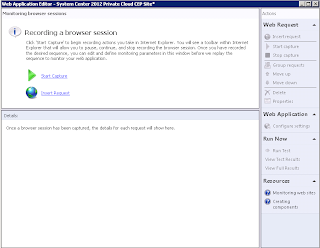 From the web application editor, click on the 'Start Capture' link. 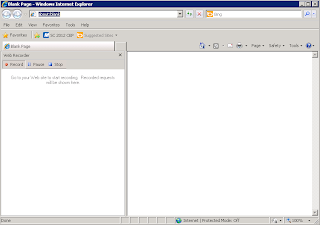 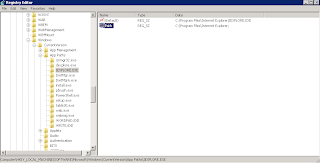 Note: At this point an Internet Explorer window will open, but depending on the type of server or workstation you have installed the SCOM web console on, if it is a 64 Bit server or workstation (which most likely it is), then you will just get a blank Internet Explorer screen like the one below with no Web Recorder add-in present. 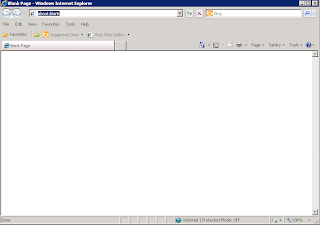 If you are presented with the blank Internet Explorer screen with no Web Recorder add-in as above, it is because the 64 Bit server has automatically opened the 32 Bit version of Internet Explorer which currently doesn't support the Web Recorder add-in. 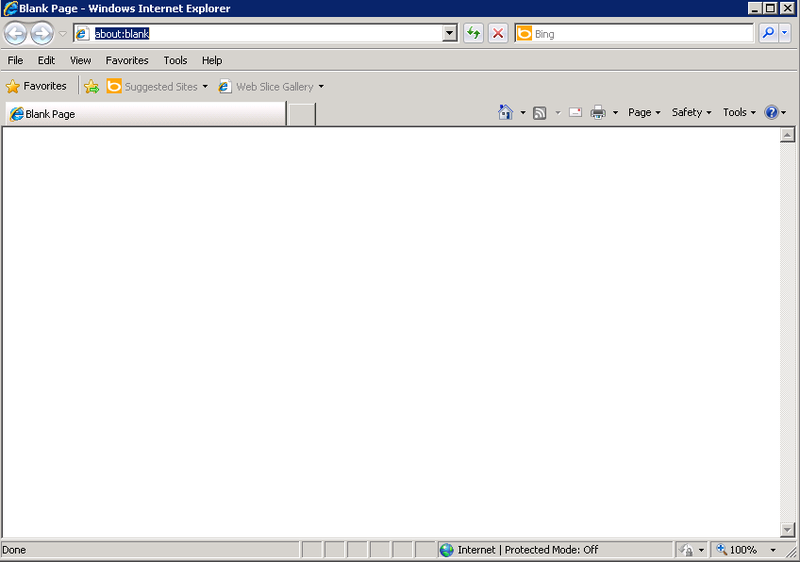 The registry keys on the left hand side of the screen above show that Internet Explorer will always run from the 32 Bit 'Program Files (x86)' location as opposed to the 64 Bit default 'Program Files' location.